A tasty and healthy surprise for kids . Boring cornflakes would turn out to be a tasty snack. 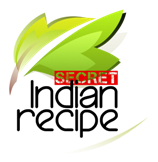 Siri Anantharam's Secret Indian Recipe ! Take a large bowl , Add finely chopped onions, tomatoes and the cucumber. Add the dry masalas – red chilli powder, coriander powder, chaat masala. Add split roasted ground nuts, green chilli sauce, meetha tamarind sauce, tomato ketchup, oil salt and dhaniya. Add lime juice and mix all the ingredients well. Add corn flakes and meetha sev and mix well . serve instantly. Sweet pongal recipe | sakkarai pongal re . . .